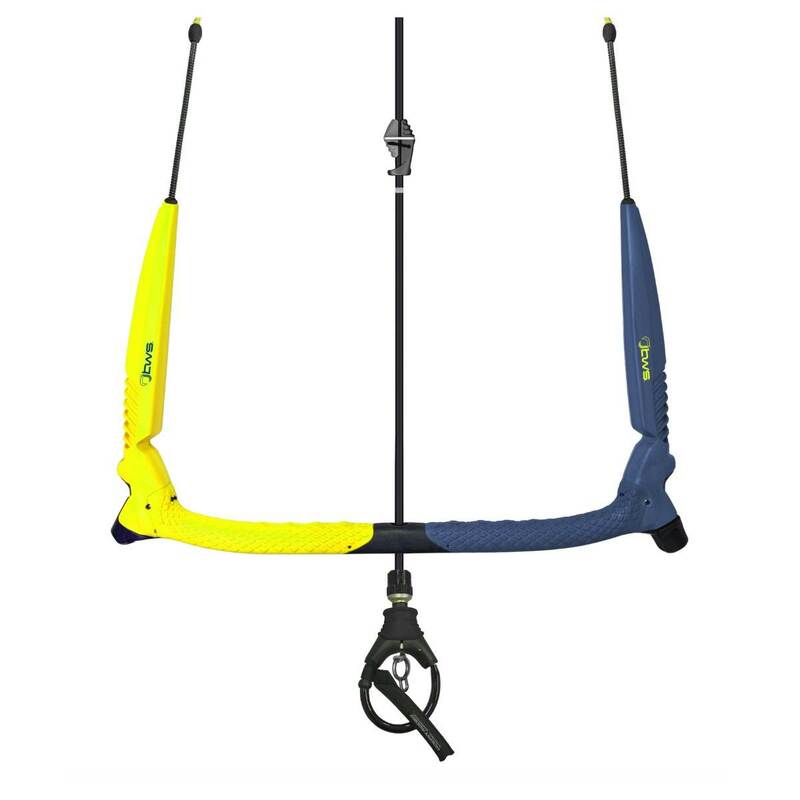 The New Switch kitebar gets it right ! Im very impressed that they finally "Listened to the public on the forums"
and completely changed to what we recomended. So have they got rid of that useless above bar swivel? Looks like it. 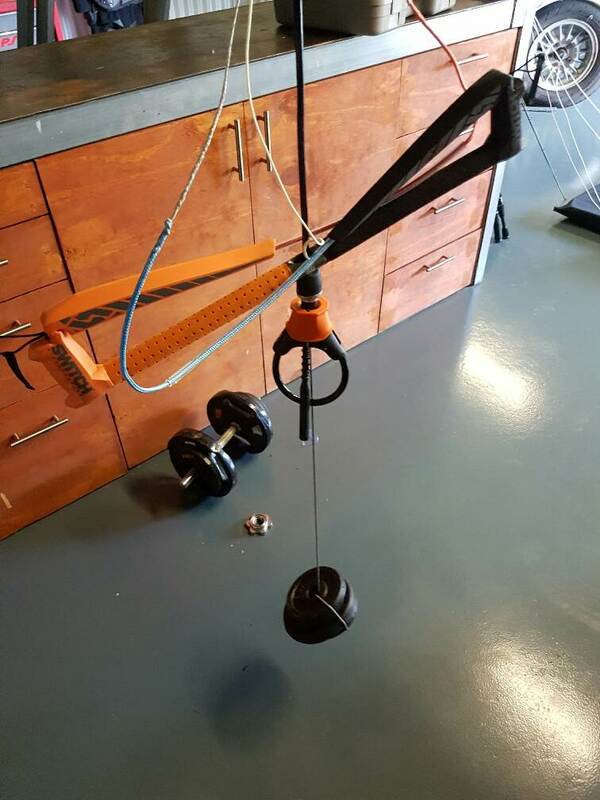 Is that PU covering the depower rope ? Tell me more about the high Y adjustability. Does this imply we could use these bars now on a north kite (i don't want to debate whether you can or can't use a low Y on a north kite....you can but it's sh1t). Simple bar that is affordable and universal. If so, well done switch. All these bells and whistles are giving me the absolute sh1ts. Theyve got videos on everything attached to the bar.. looks great compared to top dollar bars.. They also have a Pro-bar coming for Unhooked 5 line Legacy ready. The well proven simple flag / front line connection.. I've read that the new 55cm bar is actually 61cm in total length & 55cm between the rear lines. Just something to consider if you were going to order one. Im happy too see kite companies share their technology if it means Safer equipment for all riders.. I have been holding off on putting up a review of the new bar, as I haven't tested a solution to a issue I had on the new bar!!! Heres my first thoughts. No affiliation with any brand. It looks a lot like a cab bar now, completely different to the C3 bar, feels like it should be cheaper than the C3 (poor finishes, wont affect use just looks crap). It has potential to be a great bar for price but have no confidence in the new QR, I will mod my C3 bar with the C4 parts when they become available, if I keep the C4 bar - the PU and QR have to go! Is it the thickness of the front line coupling - catching at the Quick release hole ? Is it the thickness of the front line - catching at the Quick release hole ? Ahh thought so - on the BWS undertow bar videos, it looks like the front line loop is narrower..
Is it possible the factory have got the front lines mixed up or wrong end attached ? 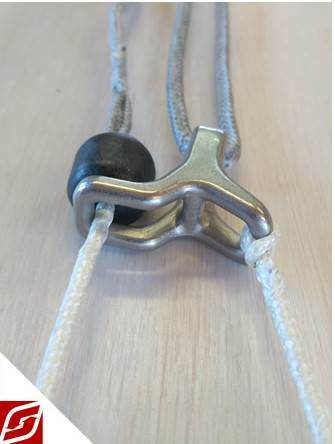 Keep us informed of any info updates - lives are Dependant on proper working Safetys..
From what I could understand it's not a copy but exactly the same bar made by the same manufacturer - just made for a different client to their specs. Yep, R3 designs (Richard, Ross, Rudo) own the open groove bar, trim knob and stopper. Designs started way back in 2010. Anyways, back on track, the Switch bar looks good, The QR, PU tube and cleat have been in circulation for some time now and work great. I've found it easy to reset, swivel works great and its easy to replace parts when required. A stopper would be a nice addition though I agree. I modded my C3 with the Ozone stopper and trim bracket. It works perfectly when flagging but I have found a problem.... there is a potential for the larks head knot to squeeze through the hole in the stopper ball. This happened to me a few times after loading the kite ultra hard / kitelooping. 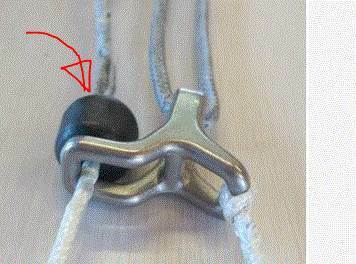 Initially I just replaced the stopper ball and tied a knot in the safety line at the stopper ball to provide a larger knot as I was in Mauritius at the time. This worked but when I got home I wanted to sort it out properly so I made up my own safety line out of 3mm dynema. This provided a much larger knot that had no possibility of pulling through the stopper ball (even if slightly worn), but conversely got hung up when traveling through the chicken loop/ QR assembly. Strangely I did it on 2 bars and the 2nd has no issue.... the splice must have been marginally narrower on the second one. This sound exactly like what is described above and is potentially a real failure point. I had planned to mention this to Switch but by this time their new design was done and dusted. I will mod my C3 bar with the C4 parts when they become available, if I keep the C4 bar - the PU and QR have to go! I was told by Felix that C2/C3 chicken loop assemblies are not and will not be available in the future. They "no longer have the moulds". Thats annoying for people like me that have bits that need replacing on C2/C3 bars. In fairness he did offer to give me all his old bars for the price of shipping! Ozone has basically had that same setup for years... components are also same as BWS bar by the looks of it. Nothing new here except some updated bar ends. Looks good though, I like simplicity (bar ends look sleek and fairly catch free). and completely changed to what we recommended. You mean they have just bought an "off the shelf" 3P bar. With the same features as other brands, just a different colour. I guess if you buy cheap you get cheap. 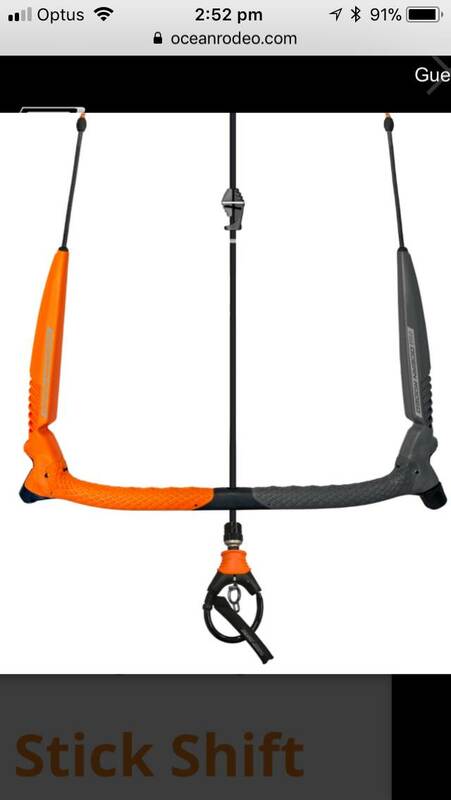 If i was you, i'd be buying a slingshot, north, core bar that actually works and rig it for your switch kite. At least you'll know the safety is actually going to work. I was thinking about that comment when I was out kiting today..... aside from replacing my centre line recently and putting on new lines, the bar itself (and chicken loop and other hardware) are still in perfect condition. It's a C3 and is coming up on it's 3rd season of use as my only bar. Gets frequent use. 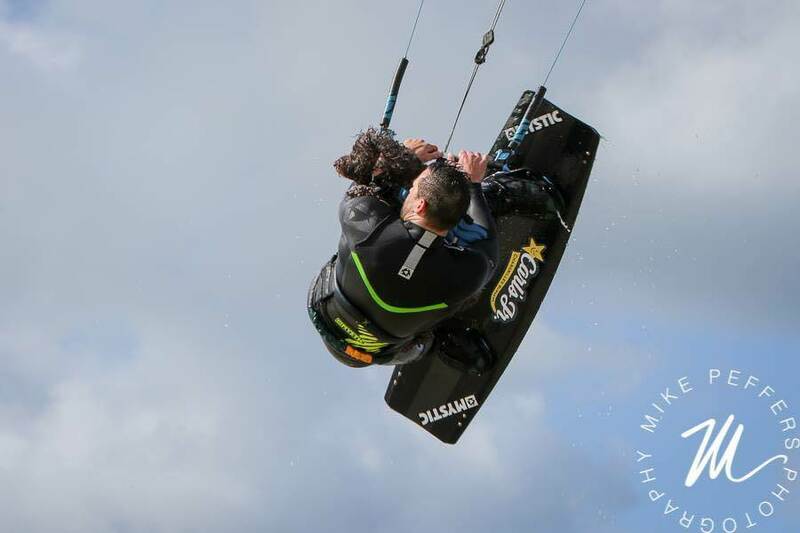 Usually at least once a week throughout winter, and I'm on holiday over summer so kiting as many days as possible. Remember when a kitesurfing company shaped a nice surfboard? I don't. I agree Norths surfboards are average, but so are everyone elses. Stiff hard boards built to last will never ride that nice (also a good surf shaper is pretty important, something which most Kite companies don't have). 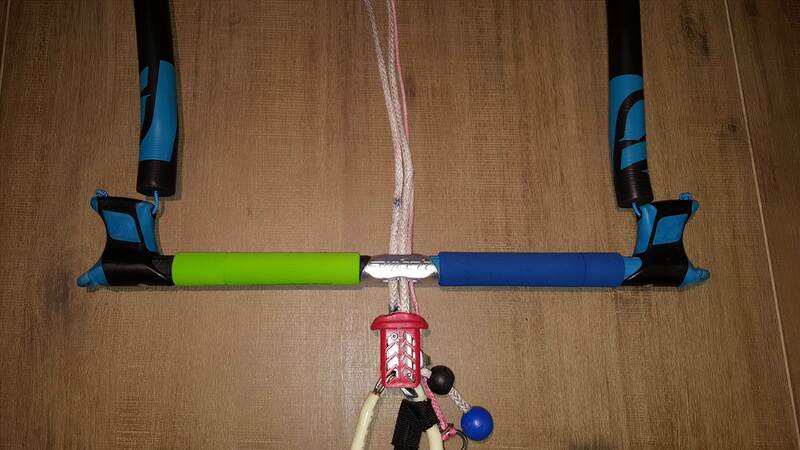 I bought 2 C1 bars, long and short custom builds for Nasty storms. Very cheap and strong as hell ! The grip sucked - and replaced with $3 ebay soft bike foam grips from taiwan. Kite all day comfy as and not slippery when wet. Best bar grip mod ive done yet. Any latest news on the fault ? Im curious with all the testing they do - it wasnt instantly noticed... unless the factory changed the line brand or stitching method for production ? How guys can kite with below the bar depower systems, is a miracle in itself really. Just saying. 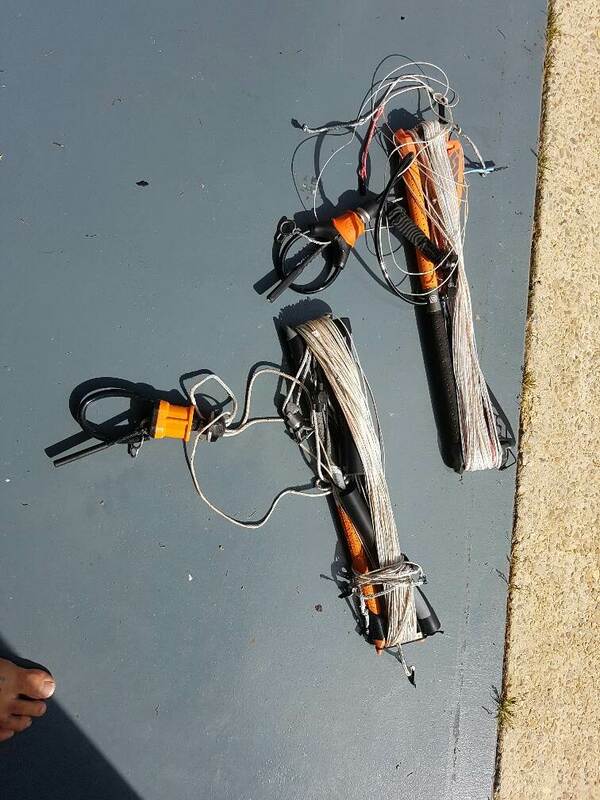 Hehe... this thread is turning into another "How to fix the bridle system on a PANSH kite - to get it to fly right!". As for the other tossers lol I'll have a beer with you girls at the windfest cheer up buttercups. last time i was on we weren't allowed to talk about switch, good to see we can talk about any kites we want. 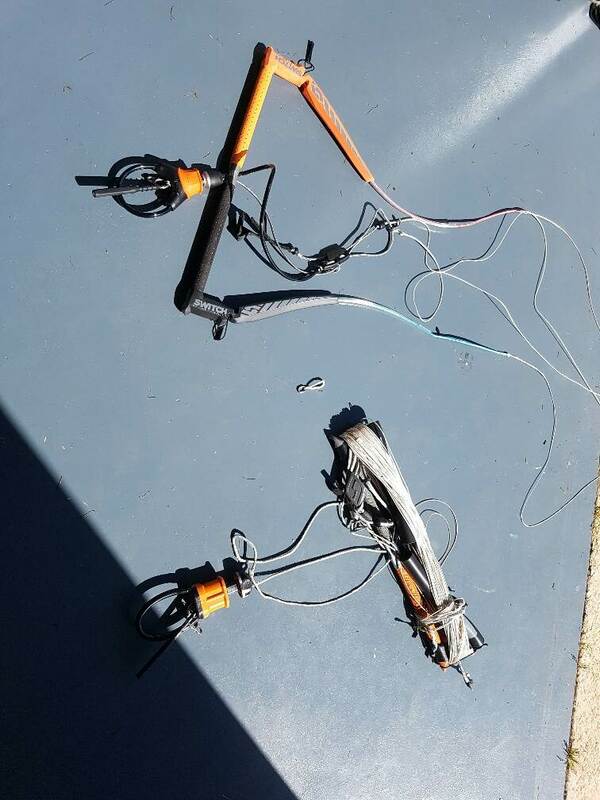 First rule of Fight Club - don't talk about Switch Kites.